Republican Gov. Larry Hogan initially wanted to put the $80 million into the so-called rainy day fund, setting it aside effectively in case of emergency. During the spring legislative session, the General Assembly reallocated it. But Hogan can still choose not to spend the money. Eric Shirk, a spokesman for Budget Secretary David Brinkley, said some items will be paid for by agency budgets, such as about $9 million meant for public safety communications upgrades. But roughly half of the list won’t be funded, for which Shirk blamed the Democrat-led General Assembly. “They took an all or nothing approach and basically said, if you don't fund all of these, you can't fund any — it all has to go back to the rainy day fund,” he said. “Gov. Hogan isn't about playing those games." Shirk also said saving the money is prudent in an increasingly stagnant economy. In a written statement, Senate President Mike Miller and House Speaker Michael Busch said they were disappointed by the move. "Funding for the resources that the Governor chose not to fund today are not partisan, and his choice will have ramifications in every county throughout our state,” Miller said. Gov. 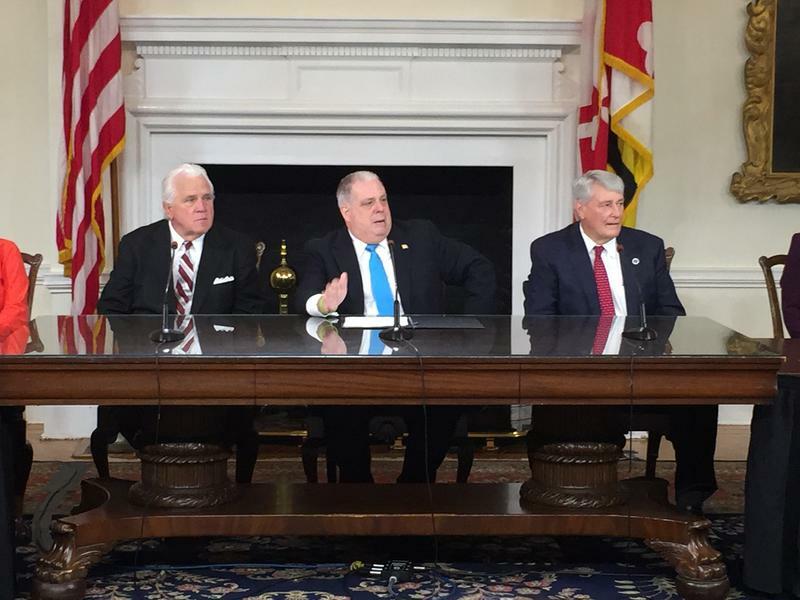 Larry Hogan signed more than 100 bills into law Tuesday morning, at the first of four scheduled signing ceremonies. Following a contentious 90-day legislative session, Hogan and the Democratic leadership projected unity at the event. Gov. 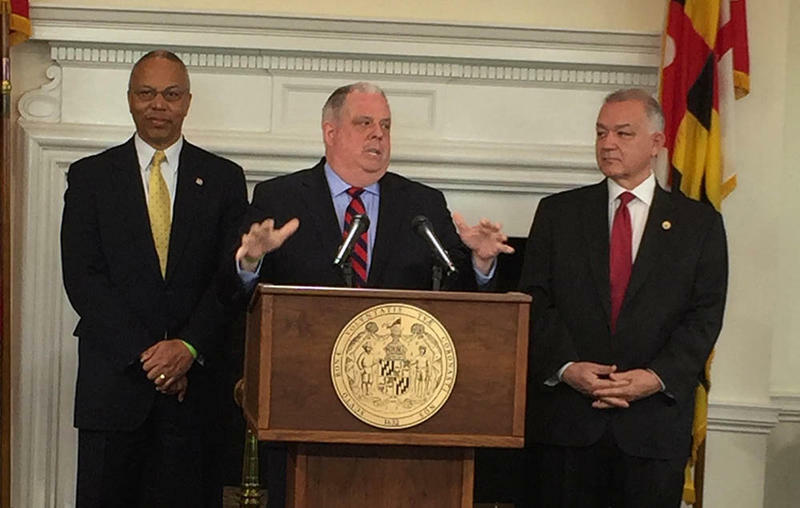 Larry Hogan accused the Democratic leaders of the General Assembly of being reckless with state tax dollars at a press conference Tuesday afternoon. But the call for budget reform quickly turned into political mud-slinging.